Editor’s note: Academic competition season is upon us! 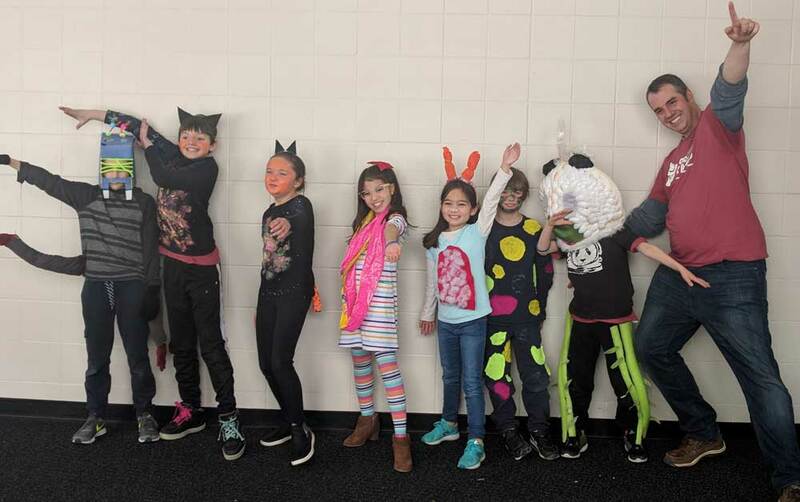 In Mind Sports Roundup, School News Network will be running roundups of events including Odyssey of the Mind, Science Olympiad, MathCounts and robotics. The following items were submitted by Kent ISD districts and are not meant to be a comprehensive list. Please limit submissions to 150-200 words. 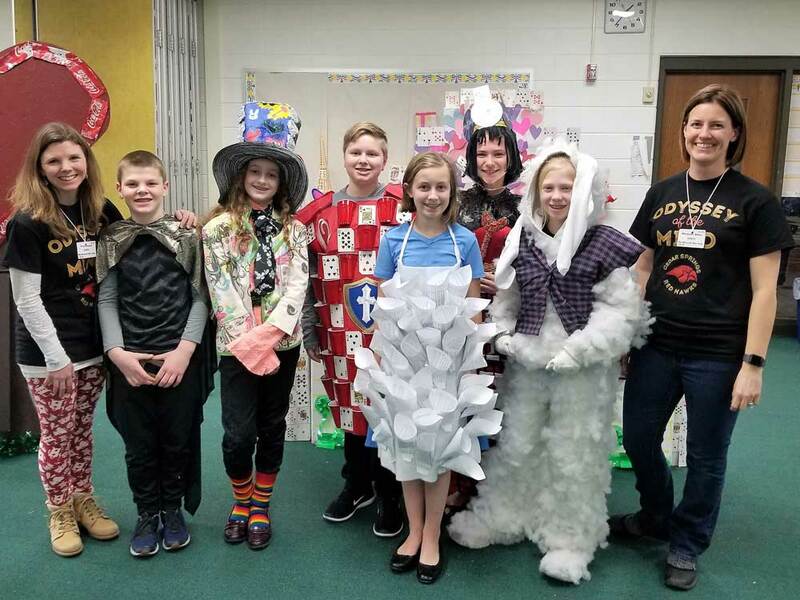 The Odyssey of the Mind team from Red Hawk Elementary is heading to Ames, Iowa for the world finals on May 23-26. The team entered in the category: Problem 3: Classics … Mockumentary! Seriously? In this problem, characters find out that there are often two sides to the same story and do not always agree as they recount the classic story where they appeared. The team selects a classic from a list and presents different characters in a humorous, documentary-style performance. The team selected “Alice in Wonderland” and used the theme of playing cards, red Coke cans, and a variety of recycled materials to build their set and costumes. They recounted the tea party and croquet match scenes, adding in creative twists of conversations that took place behind the scenes. Filled with humorous puns, royal disputes, and testimony from an eyewitness by the name of Monical Man, the team took their audience on a eight-minute journey down a rabbit hole and through time. 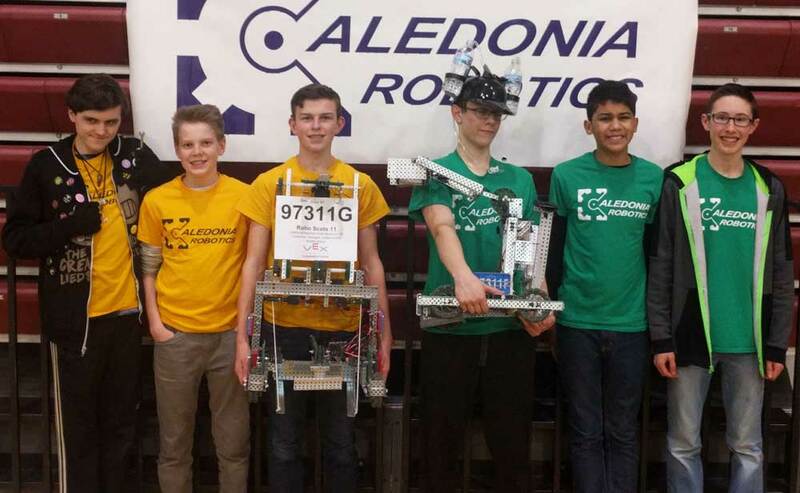 Caledonia Community Schools had three teams compete in the recent 2018 VEX Robotics State Championships at Grandville High School.